In 1946, the Cleveland Rams, having just won the NFL championship, moved to sunny Los Angeles. The LA Rams experienced immediate success, making four NFL Championship Game appearances in six years—one of which they won. From Los Angeles, the team moved to St. Louis in 1995, only to return to Los Angeles again in 2016. Regardless of the city or the stadium that they’ve called home, the Rams have compiled a myriad of memorable moments and at times have drawn record crowds. 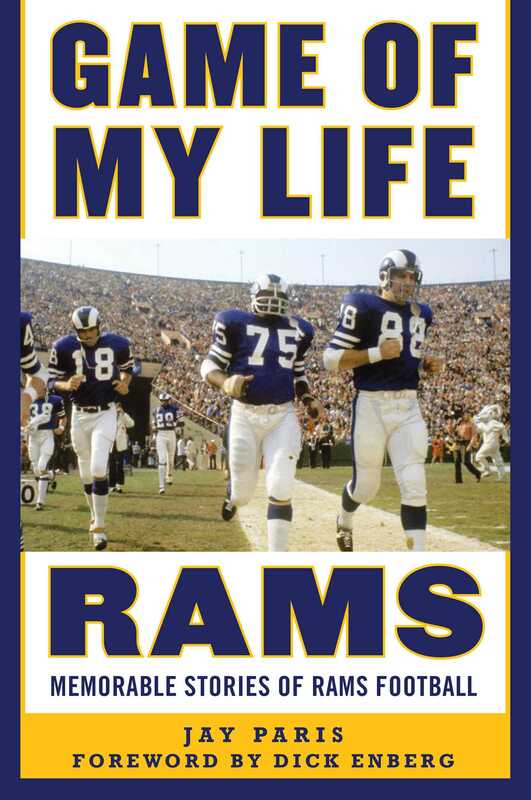 In Game of My Life Rams, award-winning sportswriter Jay Paris offers accounts of many of these moments, through the words of the players who experienced them firsthand—as members of the Los Angeles and St. Louis–based teams. Those legends featured include Roman Gabriel, Jim Hardy, Vince Ferragamo, Jack Youngblood, Kurt Warner, Eric Dickerson, Tom Mack, Nolan Cromwell, Fred Dryer, Henry Ellard, Johnny Hekker, and more. A great gift for any fan of Rams football—past or present! Jay Paris is a celebrated sports journalist and the author of Game of My Life San Diego Chargers. A three-time recipient of awards from the Pro Football Writers Association of America, Paris has served as web editor for Mighty1090AM.com, a Southern California sports site, since 2014.